Funbridge newsletter January 2019: get the bridge app latest news! The whole Funbridge team wishes you a Happy New Year! For Funbridge, 2018 has been marked by new features, enhancements and partnerships. That’s why, before telling you more about the new features on which we will be working in 2019, we invite you to take a look back at this year’s key moments. 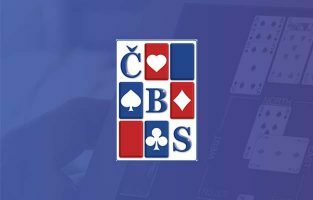 It is the turn of the Czech Bridge Federation (ČBS) to join Funbridge! It becomes the 11th national federation to license Funbridge to run official tournaments. They will take place every other Friday and the profits made will be reinvested in promoting junior bridge. Mark your calendars for 8 February to participate in the first tournament! 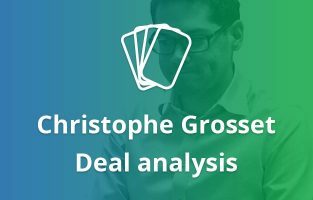 Bridge champion Christophe Grosset analyses deals of particular interest played on Funbridge in the English Bridge Union (EBU) magazine. Read his latest analysis on the Funbridge blog. 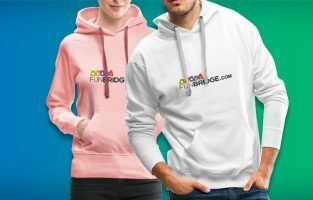 Discover our brand-new range of Funbridge merchandise! Bags, mugs, tops, polo shirts, sweaters and t-shirts… For men, women and children. There is something for everyone! Funbridge newsletter February 2019: get the bridge app latest news!